No other creature on the planet incites so much fear and fascination as that denizen of the deep, the shark. That ability to instill such wonder and terror has made for entire weeks of must-sea-TV and a sub-genre of horror film that began with the picture that changed movies forever, Jaws. Since that Steven Spielberg classic in the summer of 1975, killer shark movies have been relentlessly stalking moviegoers for decades, right up through last year’s hit, The Shallows. Now comes the latest underwater thrillfest, 47 Meters Down. Starring Mandy Moore and Claire Holt, 47 Meters Down offers a fresh take and a surprisingly unique approach to the type of film you’d think had pretty near exhausted its variety of potential plotlines. That’s a testament, not only to the filmmakers, but of course, also to the terrifying subject matter as well. 47 Meters Down offers us two very appealing leads. Mandy Moore, the singer-songwriter turned actress, currently seen in the acclaimed NBC drama, This Is Us (for which she received a Golden Globe nomination), comes across very believably as someone who has never had the confidence to explore new depths to her personality and the world around her. Finally letting loose, she’s unfortunately put into a life-threatening situation, that forces her to rise to the occasion if she has any hope of rising to the surface. Claire Holt, best known as vampire, Rebecca, in the CW show, The Vampire Diaries and its spin-off, The Originals, is perfect as the younger, yet more confident and experienced, sister. As fans of those shows well know, she is adept at exuding both vulnerability and strength simultaneously. Mandy and Claire are very natural as sisters, each supportive of the other and very close despite any natural rivalry between them, perceived or not. You clearly root for them to survive their ordeal. Also worth mentioning is veteran actor, Matthew Modine, as the ship’s captain, doing everything he can to rescue the two women. What sets 47 Meters Down apart from most other shark attack movies is that once the girls get in the water, that’s basically where the movie stays. Normally, one would expect the director to repeatedly cut back to the boat as we watch the crew work to solve the situation. Not so. The audience is down there with the girls the entire time, in real time. This adds immensely in understanding the sense of peril the two are in. British director Johannes Roberts, who also helmed the creature feature, Storage 24, and last year’s supernatural horror, The Other Side of the Door, uses sound design to great effect to convey the anxiety and fear as the girls attempt to preserve their air while avoiding the surrounding sharks. Despite the vastness of the ocean they are in, there’s a real sense of claustrophobia and isolation as they remain cut off from their boat. And while the sharks themselves pose a significant enough threat, the sisters must also contend with the very real possibility of contracting the bends, or decompression sickness, often fatal, if they try to surface too quickly. 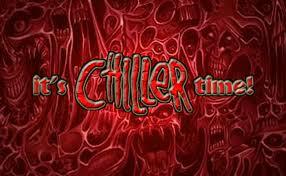 With limited oxygen supplies, time is of the essence and it all adds up to a harrowing ordeal. It’s somewhat amazing that shark movies continue to thrill audiences more than four decades after Jaws. What makes sharks so terrifying is their primitive behavior, unchanged after millions of years of evolution. They just swim, eat and make baby sharks. Nothing is more horrifying than to be eaten alive, and together with being out of one’s element, and in theirs – we are land dwellers, after all – it creates a fear like no other. In addition, there is still so much we don’t yet understand about shark behavior, like what exactly triggers an attack in the first place. Humans are clearly not their normal source of prey, fish and seals are, so is it a case of mistaken identity or a lack of preferred food sources that put us on the dinner menu? While humans are afraid of sharks, it really should be the other way around. Shark attacks on humans are relatively rare, and fewer still are fatal. On the other hand, humans kill millions of sharks per year, at unsustainable levels, for use in shark fin soup, most popular in China and other Asian countries. Sharks are vitally important to ocean ecosystems, keeping fish populations healthy and in check. To lose any number of species of shark would disrupt and destroy the balance of the seas. So it’s important that we treat sharks with the respect they deserve, and just like with any plant or animal, be conservative in our harvesting for human consumption. 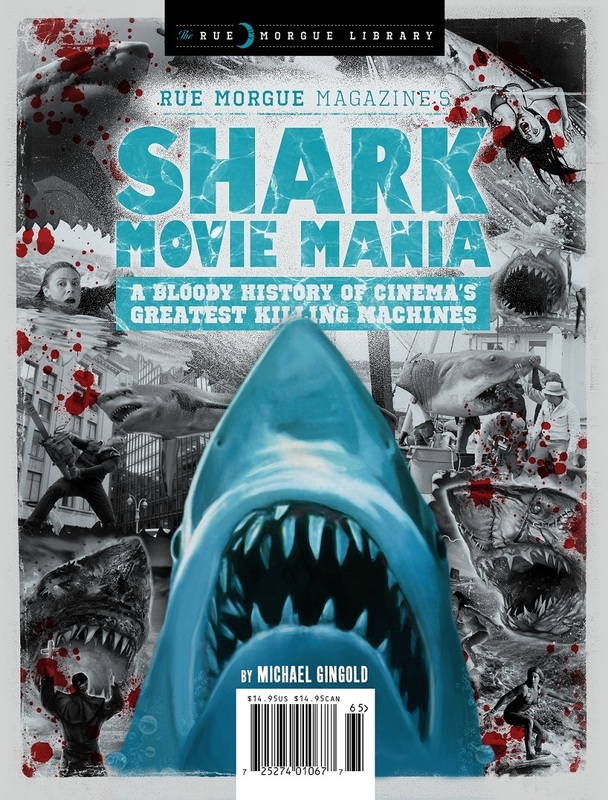 Otherwise, shark movies of the future may not just be of the horror and adventure genres, but science fiction as well. If you can’t get enough of the fearsome, toothsome creatures, and you’re interested in checking out the plethora of other shark attack movies out there, you’ll want to pick up Michael Gingold’s comprehensive Shark Movie Mania, put out by Rue Morgue Magazine. You’ll no doubt come across a number of films you never knew existed as you revel in the sheer number of movies in the genre. It’s extremely up-to-date in that it includes 47 Meters Down as well. 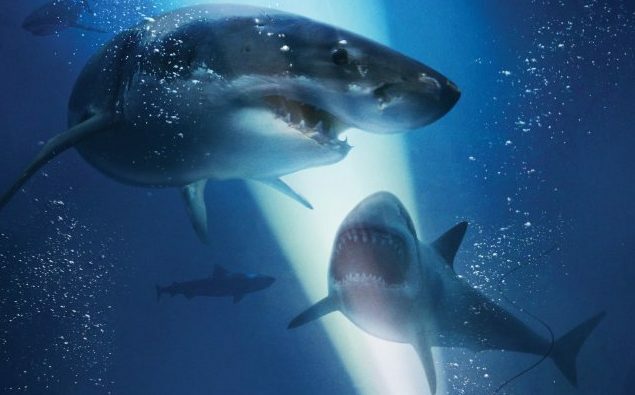 While 47 Meters Down may be the latest shark thriller, and we can expect another Sharknado from the SyFy network later this summer, as long as there are sharks in the water, and people go in the water, there will no doubt be more films that exploit this conflict in the future. I LOVED this movie, and this is coming from someone who saw Jaws 2 in the theaters as a kid with my Dad (hey it was the ’70s)! The real sense of claustrophobia you touched on had me gasping for air. There were three seperate “oh sh%t” moments for me where I literally yelled that out loud. 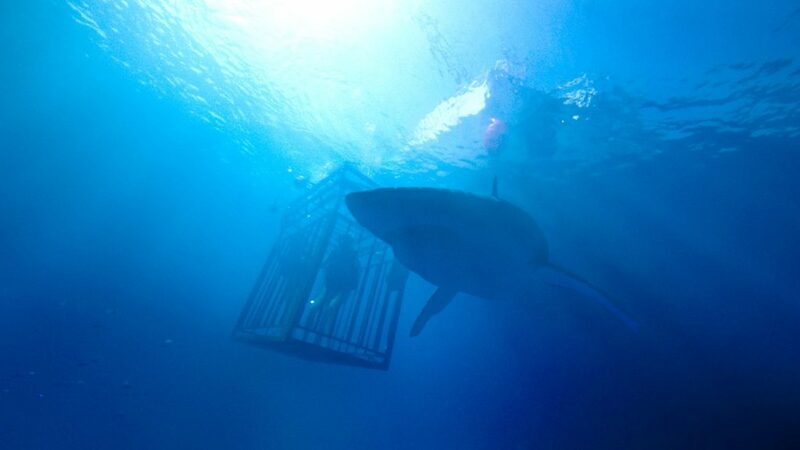 Add in the fact with the excessive chumming of the water pre dive and the fact one of the characters was bleeding meant the sharks were quite literally in a feeding frenzy state, which I think was quite realistic despite what many critics have said of supposed shark behavior. My only beef with the movie was the ending, and no I liked the concept of her thinking they both made it but wish they both would of met their demise, which I think would of made for a more solid movie to see. Lastly, I loved that this put a whole new perspective on Hooper’s fate in JAWS. Seriously, with ’70s tech air tanks is he really coming to surface (from the ocean floor, or 47 meters down) nearly 15 minutes later like nothing happened? I think he would of been near death and pretty messed up.